J. B. Peré began his music career in 1950 when he formed his band “J. B. Peré and the Music Macs.” For many years, the Peré brothers performed as the “house band” at Pangay’s Nite Club in Cade, Louisiana where many nationally-known musicians performed, including Charlie Pride, Jimmy C. Newman and Cal Smith. 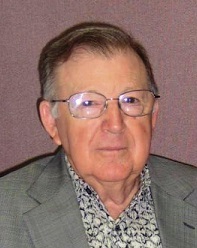 In 1972, Peré hired a then 12-year old Sammy Kershaw to work for him. J. B. Peré became Kershaw’s mentor and helped him begin his outstanding career in the music business. John Peré has played the steel guitar most of his life and is recognized for his unique style of playing the instrument. J.B. Peré and John Peré are well-known throughout Louisiana and the United States for their music careers, support of Louisiana’s music and their generosity. They have helped many non-profit organizations throughout the area for many worthwhile causes, including the Sammy Kershaw “Sam Jam,” an annual concert held in Kaplan to raise money for community-based organizations.